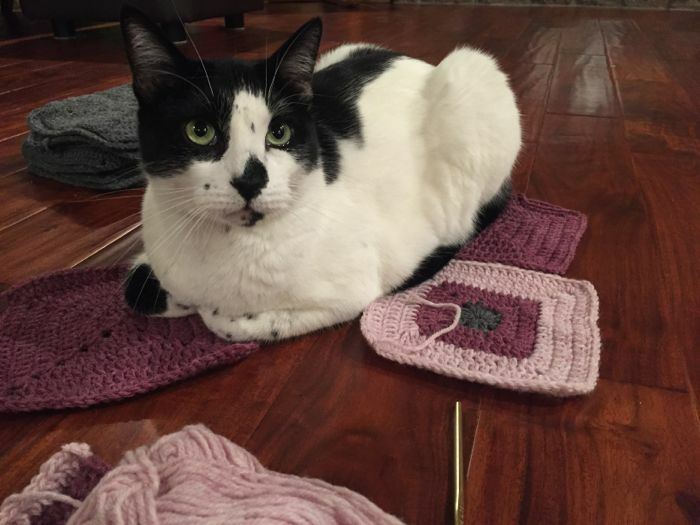 When Mister Foo made himself comfortable on the squares I was trying to lay out, it felt as though he was accusing me of not knowing what I am doing. 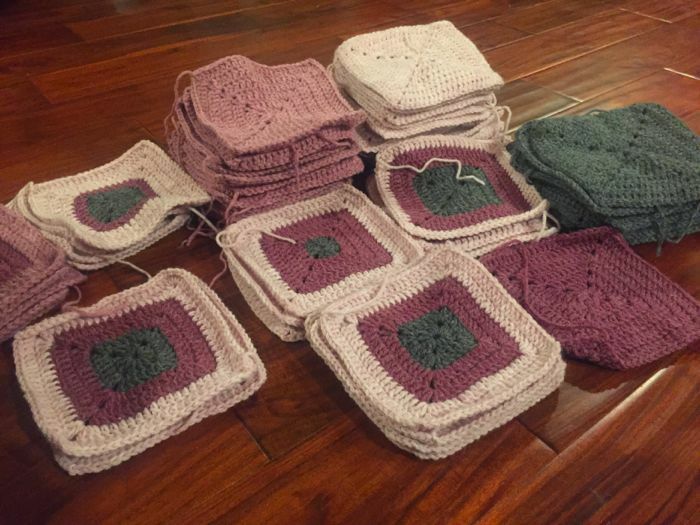 At long last I've made enough granny squares to decide on a final layout and begin joining them together. But. Foo might be on to something. First, I played with a single crochet between squares, but it creates a ridge along the seam, and I am not liking how that looks or feels. I suppose I could take a tapestry needle and sew the squares together. I suppose I could Google it, watch some YouTube tutorials... but. But the truth is... I am secretly, in my heart of hearts, imagining an afternoon with Alicia Paulson, the two of us sitting together, cozy as posies, and her teaching me how to join granny squares. After tea, we could walk in the rain to some fabulously Portlandia spot, while our daughters kick puddles and giggle together. 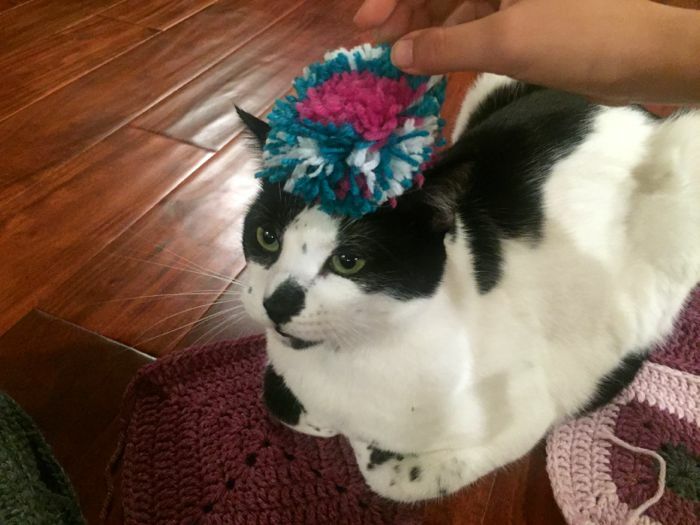 I am thoroughly convinced this would be the most effective, and most dear, way to get this granny square business figured out. Anything less will be a bit of a letdown. Well. Here they are. Seventy-four squares. 80% acrylic, 20% wool. The woman, at the shop where I went for advice, declared with finality and a bad taste in her mouth... "Acrylic. No, it will never lay flat. It's always going to be misshapen." You're on to me, Mister Washburn Foo. I do not know what I am doing! Why not do another round of crochet and then 'join-as-you-go'. I love the way this looks and it's really simple. Check out Lucy over on Attic24 (you'll love her site) and she has a tutorial for joining squares as you go along. I love the colours you've chosen - it's going to be an awesome blanket that will be loved, especially by Mr Foo!!! Ah, thank you for sharing your thoughts! Projects like this are so much more enjoyable when a friend is around to give advice, share ideas... and I mean someone other than a cat! OHMYGOATS... I just popped over to Attic 24, and I am bowled over! What a fantastic recommendation, Adaliza. Seriously. Spot on. Her examples, and all the work she's done, the colors, and inspiration... amazing! Thank you very much! She's an inspiration over here - and very well known. There's also Lazy Daisy Jones and CocoRoseDiaries although Vanessa isn't blogging any more, her beautiful photos are still there for us all to enjoy. I'm doing c2c crochet atm and hope to show my first piece this week - fingers crossed (not whilst crocheting)!!! I have a blog: adaliza.com and a webite adaliza.co.uk it's fun and keeps me out of mischief (most of the time)! 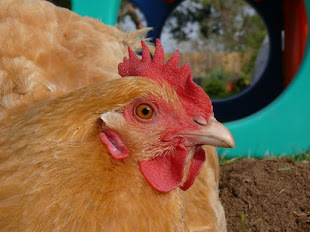 I do absolutely LOVE patchwork but also knitting crochet, collie dogs, pet duck and my home & garden. 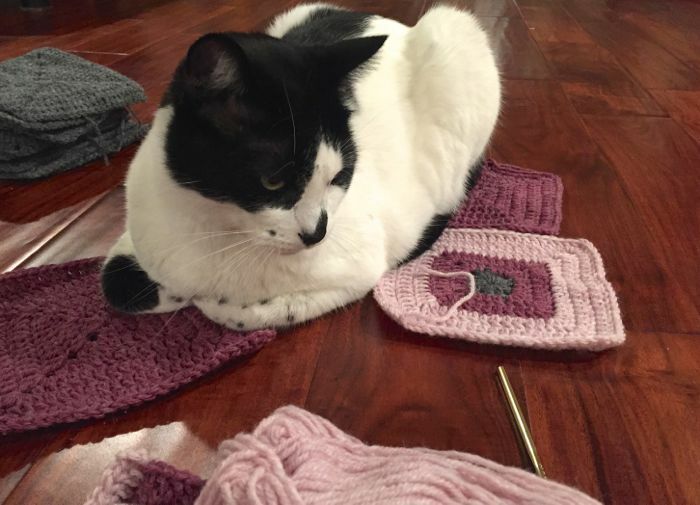 I believe Mister Foo thinks you are making this for him. If your question was about knitting, I could help, but as far a crocheting goes, I'm a novice. Looks like you've been directed to a helpful source. I know you will find a join that you like. Good luck.